The HAARP facility may be closing prompting the obvious question: Why? Someday the U.S. military could drive a trailer to a spot just beyond insurgent fighting and, within minutes, reconfigure part of the atmosphere, blocking an enemy’s ability to receive satellite signals, even as U.S. troops are able to see into the area with radar. “This scenario may not be far away,” says Defense Tech pal Sharon Weinberger in this month’s edition of the always-excellent Defense Technology International. There is evidence that satellite-borne RF sounders can act as mobile ionospheric heaters in addition to performing topside sounding. The main objective of topside sounding is to use sounder-generated electromagnetic (em) waves to obtain ionospheric topside vertical electron-density (N(sub e) profiles. These profiles are obtained from mathematical inversions of the frequency vs. delay-time ionospheric reflection traces. In addition to these em reflection traces, a number of narrowband intense signals are observed starting at zero delay times after the transmitted pulses. Some of these signals, termed plasma resonances, appear at characteristic frequencies of the ambient medium such as at the electron cyclotron frequency f(sub ce), the harmonics nf(sub ce), the electron plasma frequency f(sub pe) and the upper-hybrid frequency f(sub uh), where (f(sub uh))(exp 2) = (f(sub ce))(exp 2) + (f(sub pe))(exp 2) . These signals have been attributed to the oblique echoes of sounder-generated electrostatic (es) waves. These resonances provide accurate in situ f(sub pe) and f(sub ce) values which, in turn, lead to accurate N(sub e) and [B] values where B is the ambient magnetic field. Resonances are also observed between the nf(sub ce) harmonics both above and below f(sub uh). The former, known as the Qn plasma resonances, are mainly attributed to the matching of the wave group velocity of sounder-generated (Bernstein-mode) es waves to the satellite velocity. The frequency spectrum of these waves in the magnetosphere can be used to detect non-Maxwellian electron velocity-distributions. In addition, these resonances also exhibit components that appear to be the result of plasma emissions stimulated by the sounder pulses. The plasma resonances observed between the nf(sub ce) harmonics and below f(sub uh), known as the Dn plasma resonances, are entirely attributed to such sounder-stimulated plasma emissions. There are other sounder-stimulated plasma phenomena that also fall into this category, e.g., ion affects on electron-resonant phenomena, proton-cyclotron echoes and N(sub e) field-aligned irregularities (FAI). Some of these phenomena are more pronounced when f(sub pe)/f(sub ce) approx. = n where n is an integer significantly greater than one. The observations suggest that the sounder-stimulated plasma phenomena are stimulated, or enhanced, on a time scale much less than one second. The purpose of this presentation is to review the above topics with particular emphasis on the sounder-stimulated plasma phenomena. Project Lucy, three radars focus their beams on changing methane clouds into diamond dust. HAARP Geoengineering SRM. The need to act on methane in the Arctic is such that, most likely, a range of methods will need to be deployed in parallel. Lucy has the potential to be very effective, as it can decompose methane while any resulting nano diamond powder could also reflect sunlight back into space. Project Lucy therefore aims to design, build and test a microwave transmission system targeting low-altitude methane clouds with the aim of breaking the first C-H bond as soon as the methane erupts into the atmosphere from the Arctic Ocean. If we could transmit 13.56 MHZ on the IRI transmitter and use the other radars and optical cameras to look for reflections from noctilucent clouds formed from the breakdown of methane in a circular zone above the HAARP transmitter we should be able to effectively test the system. There ought to be a buildup of the noctilucent clouds in the area where the HAARP transmissions are focused on the ionosphere. If it works there are 4 other similar facilities in the world (Hipas, Alaska; Arecibo, Puerto Rico, EISCAT, Norway and Sura, Russia) where they could immediately attack the atmospheric methane as well. Now that Ionospheric Heaters are no longer polar-bound, ELF heaters are ready the for the high seas! Did they just say “Artificial Clouds?” Let me explain. 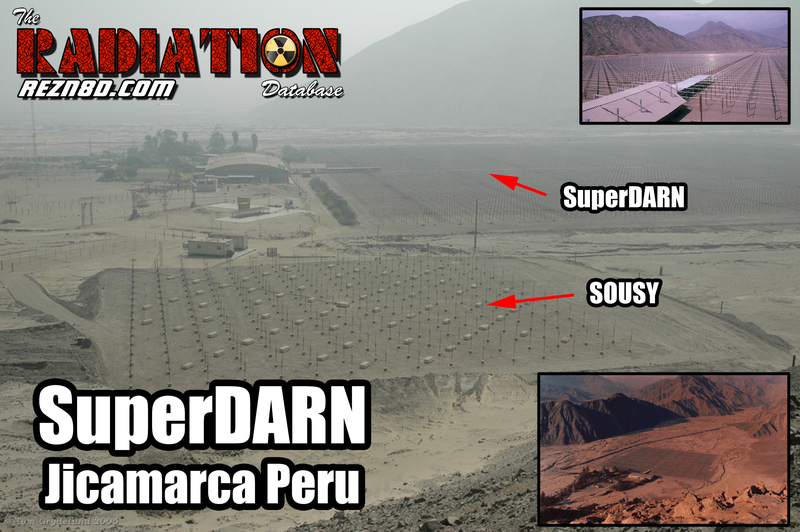 The Strawman HF Array is the new standard in HAARP technology; cheap and portable. See the green belt? That means there are HAARP boats coming to an ocean near you! What is so special about this green ELF belt? There you have it folks! HAARP arrays on trailers, trucks, boats, planes, submarines, oil rigs, and barges, OH MY! As these boats are fleshed out, built, and tested, expect that I will keep you all up date on the latest in mobile ELF generation and Sky Heating! Enjoy the headaches. Now you know why they are closing HAARP. This HAARP boat is real! HAARP on a Boat? Ionospheric Heaters go Mobile! by Jim Lee is licensed under a Creative Commons Attribution-NonCommercial-ShareAlike 4.0 International License. Based on a work at climateviewer.com/. Permissions beyond the scope of this license may be available at climateviewer.com/terms.